Vauxhall is pleased to announce that the marque's latest Astra model has been named European Car of the Year 2016 at the 86th annual Geneva Motor Show. Decided by a panel of 58 leading automotive journalists and experts from across Europe, the award was presented to Vauxhall/Opel chief executive officer Dr Karl-Thomas Neumann on the eve of the first press day of this prestigious international event. Set to open to the public from March 3rd and run until March 13th, the Geneva Motor Show is one of the most acclaimed automotive showpieces of the year. It will see crowds of eager car lovers descend upon the showground to catch a glimpse of the latest releases, concepts and technologies from many of the world's biggest and most esteemed car manufacturers. Responding to news of this latest accolade, Vauxhall chairman and managing director Rory Harvey commented: "We're delighted the Astra has been recognised for yet another award. "To be named European Car of the Year by judges throughout Europe is a testament to the hard work that has gone into the Astra. This is the new model's first full year of sales, and it has already been well-received." 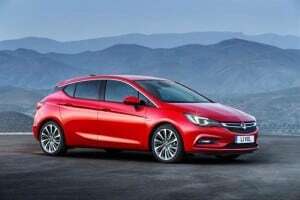 The Astra secured a total of 309 points in the final round of voting for this year's European Car of the Year award, beating the Volvo XC90 (294 points) and Mazda MX-5 (202 points), which finished second and third respectively.